I received an email from Socialist Democracy inviting me to contribute to a discussion based on an article they have written on the lessons of the Grangemouth dispute in Scotland. This article sets out the devastating scale of the defeat – the freeze in pay, butchery of pension entitlement and castration of union organisation. Many in the media called it an old fashioned battle of labour against capital, such was the unvarnished clarity of what was involved. The questions to be answered are whether there could have been a different result and what lessons can be learnt? The article does not say whether the result could have been different. Given the circumstances I think not, but this means we must be clear what the circumstance were that lead to this conclusion. As for the lessons the article posits two – that the entire strategy of the trade union leaders has been overthrown and that of union support for, and reliance on, the Labour Party is a mistake. I believe that there is a third rather more basic one, which can be explained very much as the old fashioned relationship between labour and capital. What is this relationship? The relations of capitalist production are unequal as they involve capitalists as owners of the means of production, including oil refineries and petrochemical works, and workers separated from ownership of such means of production and dependent on employment by the capitalist for their livelihood. In a struggle that does not threaten or weaken these foundations it is generally the case that the capitalists will be able to impose their wishes because these align with the power structures in society. This does not mean each and every strike or struggle by workers is doomed to defeat but that in certain disputes this power of capital is fully deployed and the fundamental imbalance in power is cruelly demonstrated. Were it otherwise capitalism might be able to find some stable compromise, some equilibrium between the two classes that would allow a ‘fairer’ distribution of resources. No such stable equilibrium has been found. Marxists have been confirmed in their view that the liberation of the majority of working people requires overturning the existing system and creation of one in which the monopoly of ownership of capital is destroyed. This is the basic case for socialism in opposition to all those who think a better world is possible while not overthrowing the fundamental structures of society. It is not an all or nothing case. It does not say that workers can do nothing to protect themselves short of socialism. Struggles that do not threaten these fundamental relations can sometimes be victorious such as when the economy is booming, unemployment is low and workers can strike or otherwise bargain for higher wages without fear of being sacked and their place being taken by the unemployed. Of course in an economic downturn the temporary leverage of workers and trade unions is undermined and the power of capitalists to do as they wish because of their ownership of capital is reasserted. In the case of the Grangemouth dispute this means that no workers’ action no matter how brilliant, innovative or militant could prevent Jim Ratcliffe from using his ownership of capital to close the refinery and petrochemical works and throw thousands of workers onto the dole. Of course if you were convinced he was lying about the profitability of the plant and convinced his threats to close were a bluff the solution is simple – call his bluff and tell him his demands will not be accepted. Unfortunately his ownership means that only he and his management know the truth and his claims that the plant only had a future if he was able to put £300 million in investment into it were credible. The same system that decrees private ownership of a refinery also necessarily involves periodic overcapacity in production and this was held over the workers’ heads as the brute fact that required they surrender or face the sack. Under such circumstances no one can be surprised the workers decided to accept the lesser evil. The article is correct that simple strike action would not succeed. It was the boss who went on strike – it’s called a lockout. It is he who brought production to a halt and threatened to make this permanent. Others called for widespread solidarity action perhaps secondary strikes. Firstly these are illegal and related to this, workers have not yet the level of combativity to carry out such action, even those involved in the chemicals industry who would have lost their own jobs had Grangemouth closed. If it is argued that this strategy is one we must argue for and attempt to build for the future then this is indeed an element of strategy. In this situation however there is no reason to believe Ratcliffe gave a rat’s arse about the fate of the wider industry and of the other thousands of jobs that would have been lost. If he was going to close Grangemouth then all these strikes would have made no difference to his plans. A second possible answer was to call on the state to nationalise the refinery and works. The problem with this is that neither the British State based in London nor that part that might go independent had no intention of doing so. Both are ‘open for business’ only when it means private capitalism. So who was going to nationalise the works? If it is believed that strike action would compel such nationalisation then it would have had to be wider and deeper than that considered above and the first response of the State would have been to attempt to throttle it. Some people keep on forgetting the State is the protector of the enemy. Some on the Scottish Left said the situation at Grangemouth showed the need for independence but this was not an immediate solution. As we have just said, the Scottish National Party has no intention of nationalising private industry when private capitalists are prepared to invest if only the workers accept the necessary sacrifices. Alex Salmond’s primary concern was with the exposure of his independence project, and the illustration of how weak the idea of a prosperous oil economy looks in light of this immediate threat to pull the plug. Since the refinery provides fuel for northern England and Northern Ireland as well as Scotland the case for action to protect the service went beyond the border and thus implicitly provides the grounds for wide action to defend it. It also undermines any case for a nationalist solution from the right or the left. The article argues against the efficacy of such answers and proposes its own elements of a strategy. Some of these are by no means very clear. Just how are the laws of capitalism to be permanently abolished or even suspended when the system still exists? They can’t. The only way they can is if and when there is a revolution that creates the conditions for totally remodelling economic and social relations and even then prices will not be abolished for some considerable time. The alternative proposed revolves around occupation and seeking an alternative to the Labour Party. 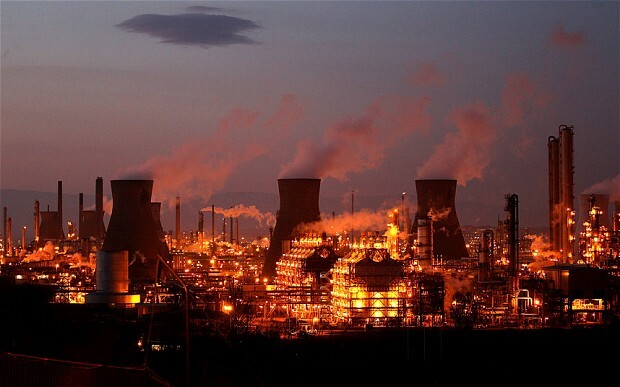 Once again however if the plant is really losing money and the threat of closure real then why would Ratcliffe not just let the workers occupy, sit in the refinery and – so far as he was concerned – rot away? It would be just another way of closing the plant if he didn’t get the workers to accept his demands. What the demand for occupation means is that workers take over ownership and run it themselves. They cannot simply run it themselves without ownership. No one would provide raw materials or other services without someone to contract with and you don’t form contracts with those in unlawful possession. So the question is how would the workers take ownership? How would they get the money to buy it and to invest perhaps the£300 million Ratcliffe says is needed? Obviously this is much harder when pushed against a wall, with no preparation and no conception that this is the alternative. Equally obviously if it is accepted that this is the road that workers in such situations should follow then it would be better to be prepared for such a challenge. The challenge is precisely to the monopoly ownership of the means of production that we said at the start is the heart of the relationship between capital and labour and at the heart of capitalism. The workers movement is big enough to fund research into the creation of worker owned businesses. Workers might start to fight to gain control of their pension funds to invest in their own enterprises. Money can be raised for investment from financial institutions or other funding means to be determined. A network of employee owned cooperatives already exists. What is involved is not utopian, in the sense it has never been done before, nor is it without rational calculation. If workers could be ready for such an alternative the threats of closure would not be so conclusive. In other words the alternative to capitalist ownership is workers’ ownership. Not just in some indefinite future ‘after the revolution’ but now and not just for now but in order to build towards the future. Finally the article criticises the unions’ support for the Labour Party. It notes that organised workers continue to support their trade union and political leaders, although it only proposes that in order to fight both it is necessary to break from the Labour Party but not from the existing trade unions. It calls for a ‘class struggle movement’ to be created across all the unions, which should call for a new working class party. It obviously believes this fight can dismiss the Labour Party and need not go through it, although it does not explain how this can be achieved when it acknowledges workers continuing support for that Party. Implicit is the view that a fight within that Party is not needed to convince workers to break from it. This in my view is very doubtful. It draws no lessons from its ridicule of the small socialist organisations which have attempted this road or what it correctly describes as the private character of their concerns; illustrated by their bizarre discussions and replication of policies that decades ago they excoriated the Labour Party for. The articles’ own call for a revolutionary party is correct but of no help here since it is put forward, necessarily so, as an ideal future location. If what is being said is that a new leadership has to be created, and the existing one challenged, then this is correct. If it is being said that this is a precondition for a fight-back then this is not correct. It is only in the course of struggle that existing leaderships can be defeated, as long as such objectives become part of the struggle by the mass of ordinary workers. The workers at Grangemouth and, by extension, those beyond have suffered a cruel defeat. One possible reaction is to be cowed by the power of capital to shatter livelihoods. A second is to seek some magic bullet of a strategy that workers can employ to defeat such plans: a strike, secondary action or an occupation. A third lesson is that very often workers are forcibly confronted with the reality that to secure a decent life they need to go beyond capitalism and that no amount of shifting it with militant action can change its fundamental nature. This nature is one where capitalists own the means of production and they can open and close it when they want. This is not a strong argument for capitalism but a powerful argument for changing society – for socialism. Some readers of this blog might think that I’m labouring the question of nationalisation and state ownership and its identification with socialism. While I believe it is a question of fundamental political importance its practical significance has been vividly illustrated in the last few days. In Britain the report from the fifth investigation into Stafford hospital has been delivered, prompting David Cameron to say that he was”truly sorry” for what had happened, which was “not just wrong, it was truly dreadful.” Previous investigations had already established in harrowing detail the abuse and neglect that took place from 2005 to 2008. Between 400 and 1,200 more deaths took place than would have been expected between these years, although it is stated that it is impossible to say whether all of these patients would have survived had they received better treatment. Receptionists were left to decide which patients to treat, inexperienced doctors were put in charge of critically ill patients and nurses were not trained how to use vital equipment. The National Health Service, so beloved of the British nation that it featured in the opening ceremony of the Olympics, has been damned from top to bottom. Trust management ignored patients’ complaints while local GPs and MPs also failed to speak up, the inquiry said. The local primary care trust and regional health authority were too quick to trust the hospital’s management and national regulators were not challenging enough. Meanwhile, the Royal College of Nursing was highlighted for not doing enough to support its members who were trying to raise concerns. The Department of Health was also criticised for being too “remote” and embarking on “counterproductive” reorganisations. The findings of the report cannot be regarded as an aberration as it follows repeated damning judgments of care provided in Britain, especially care of the elderly, and news that five other hospitals are to be investigated following Stafford. Yet the NHS is the crown jewels of the social democratic state. Many on the left speak and act as if the only problem with the health service is a lack of cash but this is much less than the full story and money will not deal with what has been referred to as the cultural changes that are required. 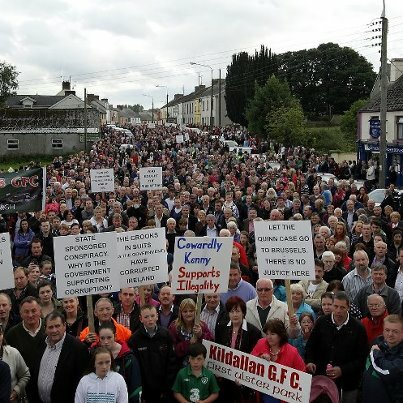 Working class people in Britain and Ireland are all too aware of the shortcomings of the health services. While those in Ireland may wish for their own NHS those in the UK know its limitations and going to hospital is more and more regarded as something you really don’t want to do unless you have to. Those with elderly relatives in care are all too aware of the possibility of mistreatment. Only yesterday Channel 4 news reported on the death of an elderly person left with no domiciliary care for 9 days when the service she was receiving was closed by immigration police, who had raided the office of the private organisation providing the care. When the care provided by this organisation stopped the council never picked up on the elderly woman who had no relatives. She went without her medication and died hungry, thirsty and alone. 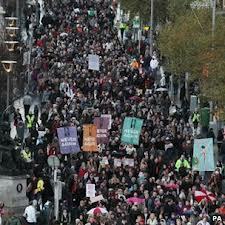 Two days ago the illegal charging by the Irish State of people in long-term care again became news. As early as 1976 the State, through the Department of Health, knew its charges were illegal. In 2005 the Government attempted to make them legal retrospectively although this was stopped by the Supreme Court. 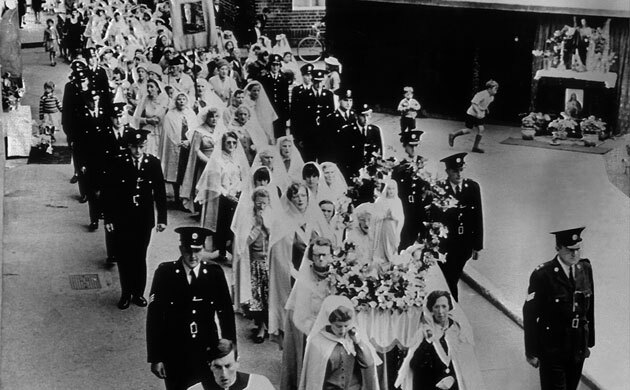 And yesterday the report on the Magdalene Laundries was released, which revealed some of the State’s role in the incarceration of thousands of women in institutions run by Catholic religious orders, compelled to work for nothing and stigmatised as ‘fallen women.’ “A very Irish form of slavery” as the Sinn Fein TD Mary Lou McDonald put it. Over one quarter of the women were put there by the State. The last laundry only closed in 1996. The State again attempted to cover up and lie over its role. 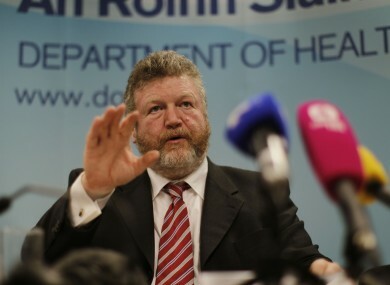 In 2009 the Minister of Education Batt O’Keefe said that “the Magdalene laundries were privately owned and operated establishments which did not come within the responsibility of the State. The State did not refer individuals to the Magdalene laundries nor was it complicit in referring individuals to them.” Not true. In 2011 Sean Aylward, secretary general of the Department of Justice, speaking in Geneva at the UN Committee Against Torture said “the vast majority of women who went to these institutions went there voluntarily or, if they were minors, with the consent of their parents or guardians.” He knew this because he had met some of these women. Yet not one of the five women he had met had entered the laundries voluntarily or with the consent of their parents or guardians. Over eighty three per cent who entered the laundries were put there. What all these examples demonstrate is that the capitalist state cannot be relied upon to provide services that working people, especially the most vulnerable, require. Some, like the Magdalene laundries, are now easy to denounce but none are models of socialism. Far from uncritically defending these services socialists must educate and agitate for a workers’ alternative to how they are currently organised and managed. The very last thing we want to do is proclaim these services as exemplars of socialism and the state that runs them as the font of this socialism. Savita Halappanavar, who was 17 weeks pregnant, arrived with back pain at University Hospital Galway on October 21st but was found to be miscarrying. Doctors told her the baby wouldn’t survive but it would all be over in a few hours. Her agony lasted until 28th. Her husband says she asked several times that the pregnancy be terminated but that this was refused because the foetal heartbeat was still present. Her husband reported that the doctor “told us the cervix was fully dilated, amniotic fluid was leaking and unfortunately the baby wouldn’t survive.” There followed three days, he says, of the foetal heartbeat being checked several times a day. He says that, having been told she was miscarrying, and after one day in severe pain, Ms Halappanavar asked for a medical termination. This was refused, he says, because the foetal heartbeat was still present and they were told, “this is a Catholic country”. She spent a further 2½ days “in agony” until the foetal heartbeat stopped. When the dead foetus was removed Savita was taken to the high dependency unit and then the intensive care unit, where she died of septicaemia on the 28th. 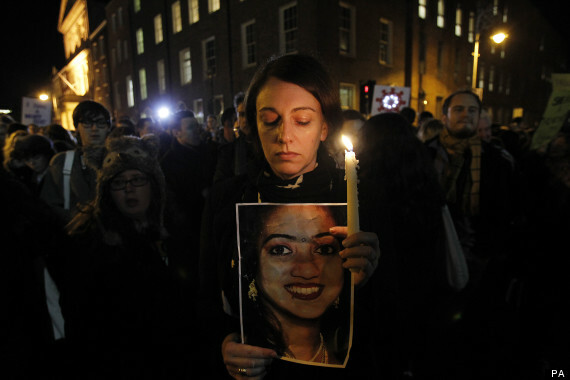 “Savita was really in agony. She was very upset, but she accepted she was losing the baby. When the consultant came on the ward rounds on Monday morning Savita asked if they could not save the baby could they induce to end the pregnancy. The consultant said, ‘As long as there is a foetal heartbeat we can’t do anything’. “Again on Tuesday morning, the ward rounds and the same discussion. The consultant said it was the law, that this is a Catholic country. 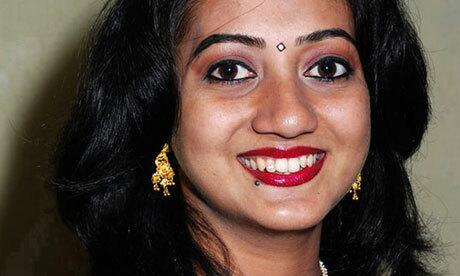 Savita said: ‘I am neither Irish nor Catholic’ but they said there was nothing they could do. On the face of it we have a desperate tragedy that could possibly have been avoided. That it has not is because of the continuing power of a state colluding with an institution, the Catholic Church, which, despite being increasingly discredited, continues to wield enormous power. This includes its patronage of hospitals and influence on medical practices. The Church has been found guilty of systematic and widespread child abuse in report after report. It has defended itself first by cover up and denial, relying on the state, including the Garda to protect it; and finally by expressions of sorrow and regret while making the minimal of changes. The Church has still been allowed to continue to ‘self-regulate’ while it being obvious that the resources provided to protect children are woefully inadequate. The Church has shown not the slightest sign of willingness to pay for its crimes. Above all it has been the state which has been the last line of defence for the institutional power of the Church and this is so despite the much publicised criticism by politicians, including Enda Kenny in the Dail, and the weak measures to reduce Church patronage of schools. Such criticism is designed to save the Church from itself and reduced patronage is acceptable to it, if it is limited, because the Church has already stated it is currently over-extended. 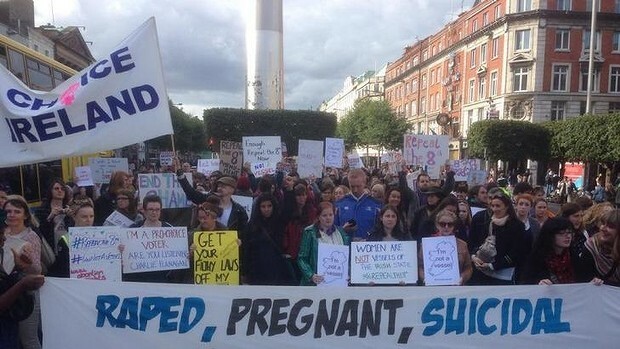 For years the Irish State has been under an obligation to legislate for abortion where the life of the mother is threatened and all the political parties have avoided discharging this obligation. How bitterly ironic then that the Expert Group set up to report on this issue, in reality a device to kick the question further down an infinite road, reported its findings to the Government last night. We can be absolutely certain that this procrastination will continue now that the report has been completed. The expressions of sorrow from the politicians in the Dail this afternoon are nauseating and hypocritical. If the facts are as they are now understood then their defence of Catholic Church teaching has led to a result that has been both foreseeable and foreseen. Two internal inquiries into what has happened are to take place, one by the hospital itself and one by the Health Services Executive. Those who work in the hospital should, through their trade unions if that is easiest, report what has happened or at the very least prevent any cover up. Much better would be a workers enquiry made up of health service staff and users of the services. Neither of the internal inquiries can be trusted to reveal the truth of this case. Most fundamentally this is because, while this is a personal tragedy, it is the result of a political system that still defends the reactionary social teaching of an increasingly disgraced institution. It does so because of the independent power of that institution, the historical ties that bind and the need for the Irish State to hold to whatever forms of legitimacy it can, no matter how tattered. 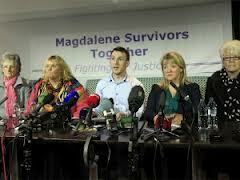 The Church and its teachings remain a powerful reactionary force in Irish society notwithstanding the scandals. This is an earthly power with deep roots. 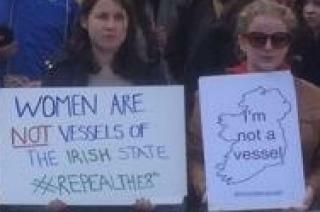 Some on the Left appear to believe that confronting the power of the Catholic Church in Ireland is a battle won when in fact it has been battles fought by women and the self-inflicted wounds of the abuse scandals that have weakened its authority. It is now well past the time that the Left demanded the rights of women to control their own bodies, with the right to choose whether they have an abortion or not. This requires the complete separation of the Church from the State and the expulsion of the Church from education and health services. Safe and legal abortion services must be provided by the health services free at the point of delivery. We should expect to see the deputies of the United Left Alliance excoriate the political leaders who have allowed this to happen. It is one of the few truly useful functions a TD in the Dail can perform. This is not a tragedy above or beyond politics but is something a rotten political system and its defenders made inevitable.